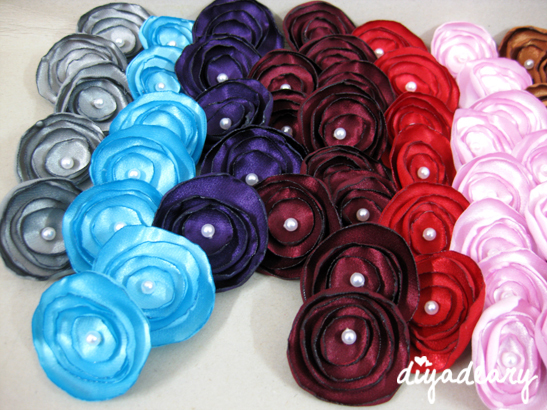 We love making Amia flower and we made Amia brooches in nine colors last week. 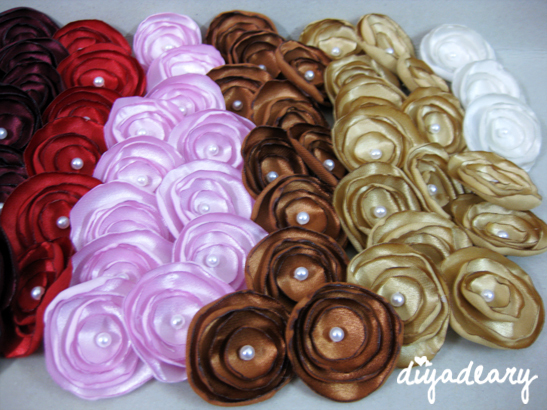 There are about 40 colors (or maybe more) available to be choose from the fabric we have in stocks. We tried to make color swatches for the fabric, to make it easy for customer reference, unfortunately the photos of swatches didn't portray the color well. 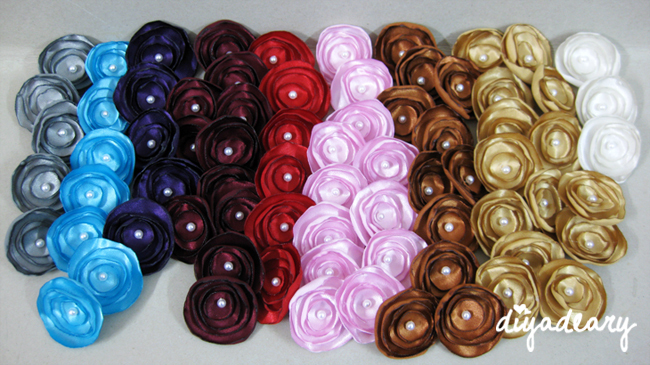 And now, we decided to create samples of Amia flower for each color soon. InsyaAllah..